A fantastic month of #mindfulness development for children & adults! It will only take a few minutes a day but can have a life lasting impact. #Pledge to take on the challenge yourself, with your class or with your school. 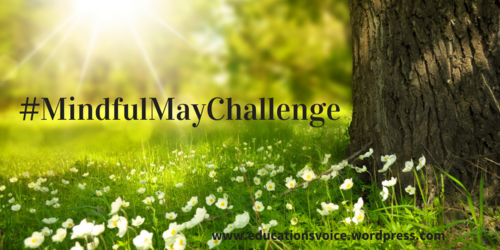 Don't be shy to also share the challenge with others and make May more mindful across the world! How many countries can we get involved? I think we should get rid manual marking for all assessment.Students should be able to submit their assessment using Learning management system at any time from home. What do you think? 'The Good Teacher' is coming. I am a primary school teacher and I have written a novel called The Good Teacher. It's a piece of ethical fiction in the rich vein of Jodi Picoult, about a teacher who goes to extraordinary lengths to save two children at her school. I realise this isn't necessarily the appropriate space to be advertising my own work but I do want as many teachers ...See MoreI am a primary school teacher and I have written a novel called The Good Teacher. It's a piece of ethical fiction in the rich vein of Jodi Picoult, about a teacher who goes to extraordinary lengths to save two children at her school. I realise this isn't necessarily the appropriate space to be advertising my own work but I do want as many teachers to read it as possible so I thought I'd give it a go. How far would you go to save a child? Marvale Primary School. A cloudy autumn sky. The day started with three hundred and sixty students and seventeen teachers. It ended with three people missing. Lisa and Jacob Johnstone had suffered a well-documented childhood of neglect and abuse. Everyone agreed that it needed to end. Jessica Bell was a kind and well-respected teacher. A strong and motivated woman, she only wanted the best for her students. Her own history of damage and pain had her believing that running away was the solution they had all been searching for. And so ensued a battle between right and wrong, good and evil, and common sense and the law. Miss Bell was not a bad woman. She was a good teacher. This is her story. I've received the Proof copy and it's looking beautiful. Printed in San Bernardino, California the novel is filled with gorgeous cream pages and bound by a colour soaked cover. Just what you would expect from such a sunny part of the world. And at four hundred and forty-eight pages, it's a book with a comforting weight, something to keep you company during these lazy days of Spring. Releasing this story to the world after a gestation period of six years will be like watching my own child wander through the departure gates, ready for the thrill and allure of travel. And hearing your reactions will be like the excitement filled phone calls home. I have known Jessica Bell a long time and I can't wait for you to meet her too. She will not let you down. October 15 is the launch date. Available on Amazon and Kindle. I have set up a free Stem Education resource StemEZ.com with 50,000 problems & Solutions for Math & Science teachers & students. Please provide feedback on its comprehensive coverage and usefulness with suggestions if any and share it on social networks with your colleagues and students. Check it out at StemEZ.com for more details and b...See MoreI have set up a free Stem Education resource StemEZ.com with 50,000 problems & Solutions for Math & Science teachers & students. Please provide feedback on its comprehensive coverage and usefulness with suggestions if any and share it on social networks with your colleagues and students. Check it out at StemEZ.com for more details and blogs. Hope Medical Institute is an international institute committed to providing a world-class medical education at top-rated universities in the Poland, Europe. Hope Medical Institute offers several medical programs leading to a degree in medicine along with its top-rated affiliate universities like Medical University of Lublin, Silesia, Bialystok and more. 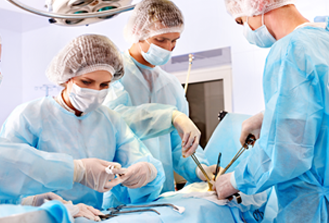 If you are looking a medical institute in the USA and Canada, Hope Medical Institute provides the best choice for you. Universities represented by HMI are some of the best foreign medical schools from which to obtain a medical degree. I am a university student doing some research into work processes and school efficiency. Can you please tell me if the school has digital processes in place to get parents to sign forms or do they send them home on paper? 1. I find I feel more comfortable teaching older kids. 2. I feel it's time for a new challenge. 3. I have been told that high school teachers aren't as involved in extracurricular events (sports carnivals, day trips etc) as primary school teachers. So in other words a high school teacher's job is more strictly about teaching in comparison to a primary school teacher. - Subjects ( I am told some high schools can assign you to teach different subjects from one year to the next. So you are not necessarily teaching in your area of expertise). Daryl Depends on your state. In general, you have to be highly qualified in one area, i.e. have a single-subject credential or pass a test to teach a particular subject. In general, at least in CA, you are not qualified to teach at the high school level without passing an exam and completing a teaching methods for _____ course, so they can't switch you w...See MoreDepends on your state. In general, you have to be highly qualified in one area, i.e. have a single-subject credential or pass a test to teach a particular subject. In general, at least in CA, you are not qualified to teach at the high school level without passing an exam and completing a teaching methods for _____ course, so they can't switch you willy nilly from English to math to science. YOu might teach different courses within a department, like Biology, Chem, Physics, etc, but you generally won't move between disciplines unless you are credentialed in both. I suggest you look up the credential requirements in your state to see what you are qualified to teach given your education and license. In general, your time table is that you're required to arrive at work about 1/2 an hour before the school day begins. You'll teach 5 classes, have one period off to grade/plan and lunch. Your school may also have a snack break, but that depends on the site. You may also have a homeroom. In general, you are not required to do supervision the way you would be at an elementary site. However, you may be required to perform adjunct duties for a particular number of hours. Again, that depends on the site. Finally, the workload can be immense or minuscule. It just depends on how hard you want to work. I know teachers who planned one year and just repeat the year, every year, regardless of the needs of their students. I know teacher who don't assign anything they have to grade. But if you're doing the job well, you're going to put in a lot of time. I, for example, have 240 students. I require that they write frequently, and I give feedback on their writing. I adjust my lessons for every class, every year, and depending on the students in the class, my plans change from period to period. Grading takes HOURS AND HOURS of my time. Doing it right is a lot of work. If you can't be bothered to put in the hours to chaperone a carnival, stay in elementary because I would trade two hours at a carnival for 200 essays any day. It might be more draining because little kids are more annoying, but in high school, you have way more responsibility.